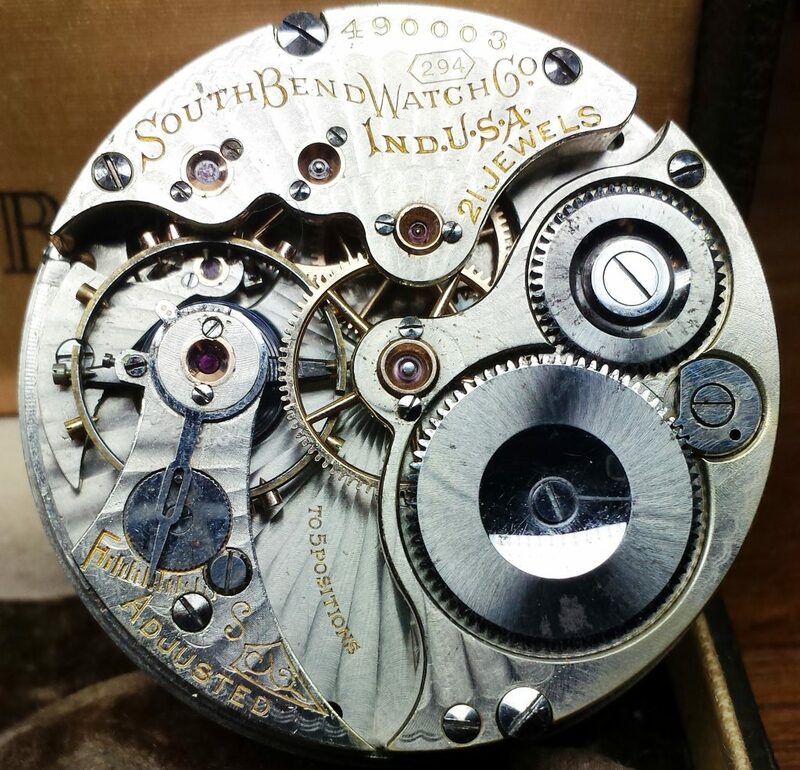 A most highly finished and accurately constructed movement. A movement that meets the most exacting requirements of railroad service. Certificate of rating furnished upon application. Shipped in nickel, glass front and back, skeleton display case. Hunting, First run – 1906, last run – 1908. Total production 1600.